Photo courtesy of WSU Lee and Donna Vance attended a free skin cancer screening event sponsored by the Wright State University Boonshoft School of Medicine, Wright State Physicians Dermatology and Premier Community Health, which may have saved Lee’s life. FAIRBORN — When Lee Vance’s wife, Donna, signed him up for a free skin cancer screening event at the Wright State Physicians Health Center, they had no idea what a life-saving decision that would turn out to be. His wife had gone to their family doctor for a routine checkup and asked about an area of concern on her arm. The doctor referred her to a dermatologist, but she couldn’t schedule an appointment before leaving for a 10-month road trip in their 33-foot motor home. So, when she learned about the free skin cancer screening event sponsored by the Wright State University Boonshoft School of Medicine, Wright State Physicians Dermatology and Premier Community Health, she signed up for a free appointment. But when Julian Trevino, M.D., professor and chair of the Department of Dermatology at the Boonshoft School of Medicine, saw her husband at the skin cancer screening event, he became concerned about a spot he saw. The Vances, who are from Englewood, did not want to postpone their trip because of her mother’s 90th birthday celebration in Rochester, N.Y., that had been scheduled for months. Siblings, children, grandchildren and cousins were coming together to celebrate the momentous occasion. “It was an event that we did not want to miss,” Vance said. So Trevino immediately scheduled a same-day biopsy with another dermatologist in his office, Max Rubin, M.D., assistant professor of dermatology, who sent the biopsy to Nicholas Shamma, M.D., a dermatopathologist and clinical faculty member, who confirmed the melanoma diagnosis. Surgery was scheduled within a week and was performed by Elizabeth Muennich, M.D., Ph.D., FAAD, assistant professor of dermatology. According to the American Cancer Society, more than two million Americans are diagnosed with basal and squamous cell cancers each year. Melanoma, the most serious type of skin cancer will account for more than 73,000 cases of skin cancer. It is almost always curable when it is found in its early stages. Warning signs of melanoma include changes in size, shape or color of a mole or other skin lesion, or the appearance of a new growth on the skin. 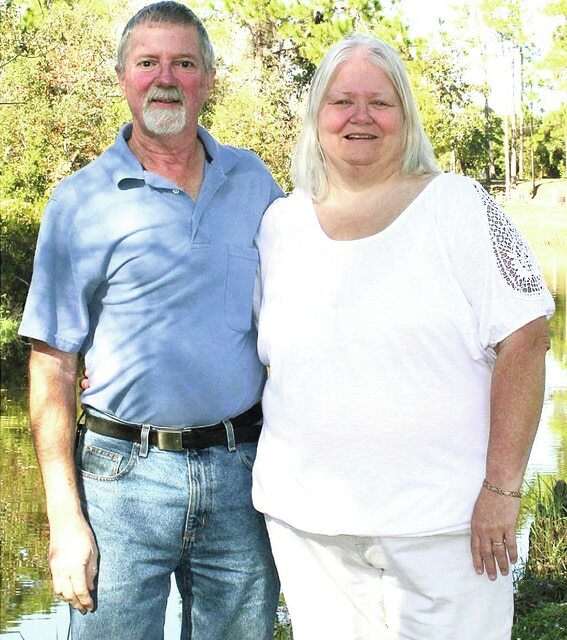 Vance, who is 70 and retired, was surprised but thankful that the melanoma had been detected. On the day of surgery, the Vances drove the motor home to the appointment. Vance encourages others to go to the free skin cancer screening event offered annually in May as part of Melanoma/Skin Cancer Detection and Prevention Month. For now, the Vances will continue on their 10-month journey in the motor home traveling through New York, New England and several provinces in Canada before driving south to Florida for the winter. But they will be back in the spring for the annual skin cancer screening event in May.